Malaysia's central bank on Thursday ordered troubled state-owned investment firm 1MDB to repatriate money that was sent overseas without approval, putting further strain on the scandal-plagued company just days after it defaulted on a bond issue. Najib also has been under pressure over $681 million that he received from overseas in 2013. 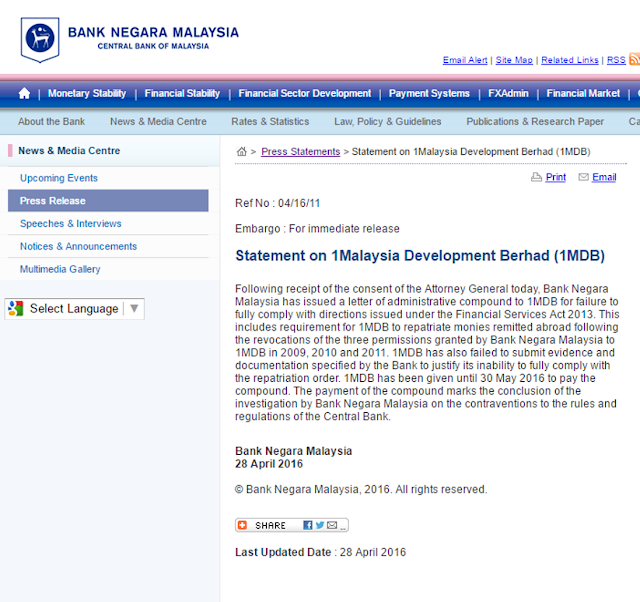 A statement issued by the central bank, Bank Negara Malaysia, did not specify how much money 1MDB had been ordered to repatriate. But the bank has been pressuring 1MDB, or 1Malaysia Development Berhad, over $1.83 billion that the company has said was previously remitted abroad. As questions swirl around billions of dollars moved around the world by 1MDB, Bank Negara has said the company failed to prove the ultimate use of the money or comply with previous instructions to repatriate the $1.83 billion. 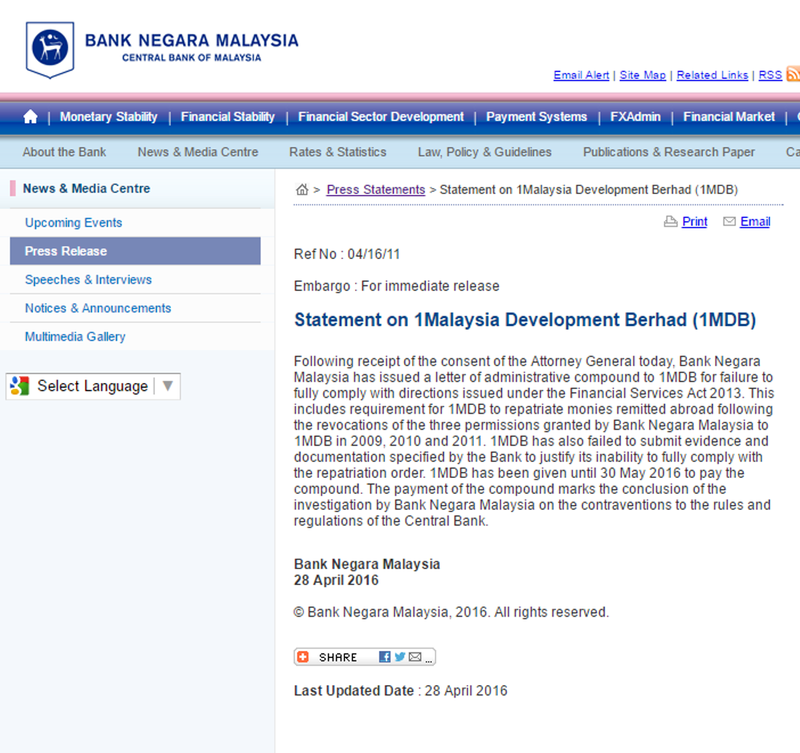 The bank's order requires "1MDB to repatriate monies remitted abroad", it said, adding that the company has "failed to submit evidence and documentation specified by the bank to justify its inability to fully comply with the repatriation order". 1MDB said, in a statement, it would pay an undisclosed fine for not complying with Bank Negara’s orders but it did not say if it would also repatriate the money in question. 1MDB, whose advisory board is chaired by Najib, earlier this week defaulted on a $1.75 billion bond issue after missing a $50 million interest payment, triggering fears that the government will have to step in and bailout 1MDB, which could rattle markets and hurt Malaysia's credit rating. 1MDB, which ran up more than $11 billion in debt in a series of much-questioned investments, has steadfastly denied money was stolen or that it was in financial trouble.